Euchen Glen is likely to bid for a famous York double next month following a dominant front-running victory in the 59th John Smith’s Cup. After being denied by a nose in the two-mile Northumberland Vase at Newcastle on his latest appearance, Jim Goldie’s charge was back at a mile and a quarter for this £200,000 contest and jockey Alistair Rawlinson was intent on making it a good stamina test from the moment the stalls opened. Euchen Glen bowled along merrily at the head of affairs and as he gradually raised the tempo, one by one his rivals began to feel the pinch. It was clear halfway up the home straight that the chasing pack were struggling to bridge the gap and Goldie’s 20-1 shot passed the post two and a quarter lengths clear of Thundering Blue, with Kynren third. 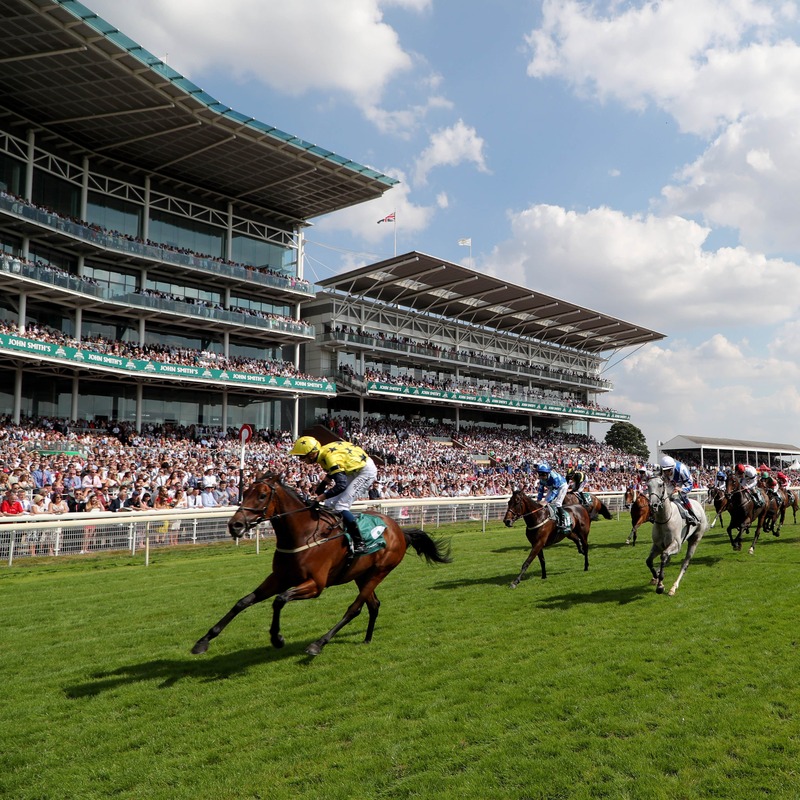 Goldie is eyeing a return to York for next month’s Sky Bet Ebor. “He’s a fair horse and although he’s been running over further, I always had it at the back of my mind he could do something like that,” said the Scottish trainer. He added: “I knew the mile and a quarter wouldn’t be a problem, he had a good draw and we decided we’d take a chance and go forward. “The plan was to come back here for the Ebor (August 25), so that’s where he’ll go, all being well. It was a timely winner for 26-year-old Rawlinson, who welcomed a son into the world little over two weeks ago. He said: “I had a lot of faith in what Jim told me and it worked out really well. “We felt coming back in trip wouldn’t be a problem and in fairness they’ve let me at it in front.